Iowa Independent Film Festival Is Bigger Than Ever! 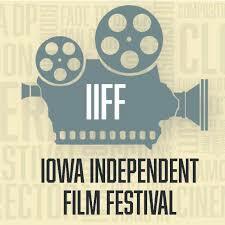 The IOWA INDEPENDENT FILM FESTIVAL is BACK and BIGGER THAN EVER! Enjoy the best independent films from around the world this weekend on Friday, August 24th, and Saturday, August 25th! The 11th annual IIFF is jam packed with feature films, short films, documentaries, and filmmaker discussions! NEW THIS YEAR: The festival is no longer just in Mason City! There are also screening locations throughout the beautiful city of Clear Lake! Along with all the cinematic fun, take the opportunity to explore these incredible venues throughout our fantastic North Iowa communities! With additional venues and more films than ever, your weekend at the IIFF will be the best one yet. Check out the FULL SCHEDULE to plan out your Friday and Saturday! Tickets cost $30 per person and include access to ALL movies on both days! Purchase tickets at the door or in advance HERE! Don’t miss out on any of the cinematic fun! Mason City is filled with incredible cultural events, such as the Iowa Independent Film Festival, all year round! If you want to call this incredible community home, give the Jane Fischer & Associates Team a call today or visit our website at http://www.janefischer.com/.